Khushi Becomes Over protective of Jahnavi Kapoor? Veteran actress Sridevi’s sudden death has left her family devastated. Boney Kapoor and his daughters Jahnavi Kapoor, Khushi Kapoor are still helping each other to keep themselves strong after the great loss. We all know that Sridevi was a very kind and pampering mother. Jahnavi Kapoor had a special attachment to her mom too. After Sridevi’s death, Khushi has become a stronger person who keeps her sister protected as her mother did that always. 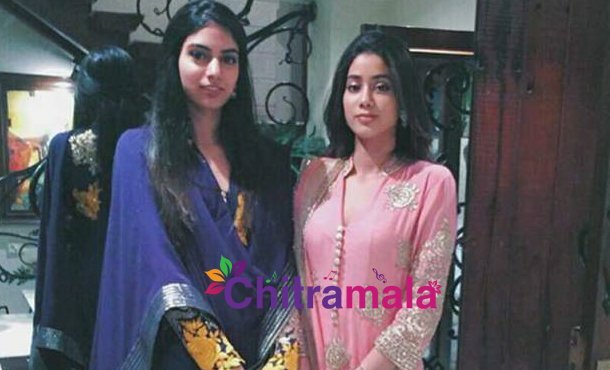 Jahnvi who is all set to debut in the movies with DHADAK says Khushi is the one who is keeping them all strong. Jahnavi Kapoor also shares that Khushi even puts her to sleep when she is not able to. Isn’t it so nice to have such a loving sister?